The Clox's music possesses a unique credibility that undoubtedly has great potential to bridge the gap between indie rock, alternative, and pop. 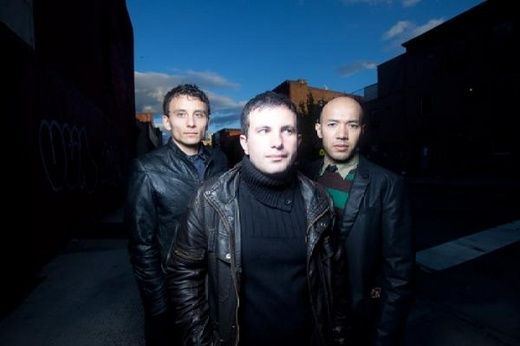 The Clox formed in Brooklyn, NY in 2007. The group was developed by Denis Orynbekov (vocals and lead guitar), Ruslan Baimurzin(drums), Igor Reznik (Rhythm Guitar), and Alex Prokofyev (Bass). In Fall of 2009 quartet became a trio when Alex left the group, and Igor Reznik switched roles from playing rhythm guitar to playing the bass. Even though currently The Clox is based out of New York City, originally the band got its roots in Kazakhstan in the year 2005. Denis Orynbekov, formerly a professional soccer player in his home country, started this project and instantly gained local press and fan recognition. In the year 2007 Denis moved to New York City with the bands drummer, Ruslan Baimurzin, to pursue music. In September of 2007, Ruslan and Denis met rhythm guitarist and songwriter, Igor Reznik. The three found themselves intrigued with each others personality and immediately decided that they wanted to pursue music together and evolve as a whole. The Clox performed in some of the country's best venues such asNew York City's Filmore at Irving Plaza, Boston's Middle East Downstairs, New York City's Hiro Ballroom, and Falls Church’s(Virginia) The State Theater, among others. They have shared the stage with The Toadies, Clinic, Mumiy Trol, The Night Snipers, Lyapis Trubeckoy, Drew Holcomb & the Neighbors, etc. Their music is widely used in "Video Go See", model promotional videos that are created for Ford, Trump, and other modeling agencies. "Video Go See " is produced by Paz Turner Creative Group(http://pazturner.com/). The band's first independently produced album, “Ready to Starve” has been released in November of 2010. Currently The Clox has finished recording their second album that will be titled "Civilian" and is due for release in mid October of 2011.